Our favourite articles about architecture, sustainability and design from December. We’ve collected some of our favourite articles about sustainability, workplace design, wellness and technology. Our favourite articles from October, which cover a range of topics including workplace technology, wellness and design. 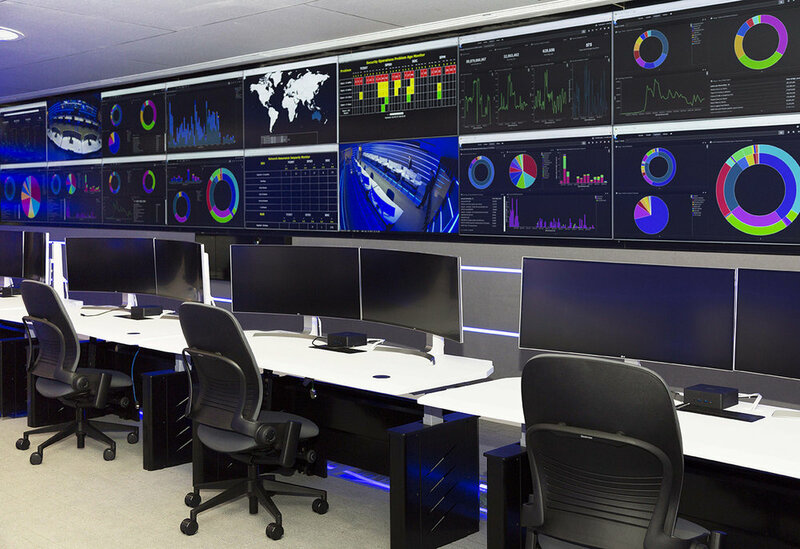 Image: Telstra Security Operations Centre. 90% of employees want ‘...to acquire new skills in order to further their careers...’ however, only one-third of respondents said that their current employer offered sufficient opportunities to develop those skills. This is causing employees to jump ship in droves. In fact, 40% of employees have already left previous employers because they lacked sufficient opportunities to develop new technology skills, and a further 58% reported a need to seek new employment to further develop new technology skills. As we come to the end of 2017, we take a breath and reflect on the wonderful year that it has been. Thank you to the amazing clients who continue to partner with us. Director level service is key to what we do and we pride ourselves on the support and expertise we bring to your design journey. Social change and the future of work. To fully take advantage of new technology, businesses need to start thinking about how they will be working in the future. Fujitsu, in tandem with Microsoft, Citrix and PAC have commissioned a report on key trends that are impacting on the future of work. One of the key areas investigated was social change and the shift towards flexible working. Nearly one-third of knowledge workers currently employ some form of automation. Unlike their blue-collar counterparts, knowledge workers are embracing AI and Automation as a way of making their jobs easier and more fulfilling. 4 out of 5 knowledge workers believe that workplace automation will allow them to better focus on doing their jobs, that's according to Workfronts annual 'The State of Enterprise Work' report. Cities in the circular economy. Circular cities aim to eliminate the concept of waste, keep assets at their highest utility at all times, and are enabled by digital technology. By the year 2050, over 66% of the world's population is expected to be living in urban environments (UN 2014). This will lead to an increase in the demands of urban infrastructure and resources. Google and the Ellen MacArthur Foundation have recently launched a report into this entitled 'Cities in the Circular Economy: The Role of Digital Technolgy'. The best business leaders share a courageous approach to running their companies. That’s according to a report from software consulting firm ThoughtWorks. The distance dilemma - enabling collaboration through design. Technology has changed the way we work. Organisations who realise this are coming out ahead. One of the ways to do this is through adopting technology and flexible working styles into the workplace. Companies who create collaborative spaces outperform their competitors in responsive leadership and employee connectedness. That’s according to new research conducted by Nick van der Meulen (Rotterdam School of Management, Eramus University (USM) and MIT’s Centre for Information Systems Research (CISR). Five workplace shifts companies must make in the next five years. Workplace strategy has typically involved cutting costs and maintaining the status quo. In most other areas of business, a strategy of cost cutting would not be expected to achieve anything substantial. Over 80% of the average companies costs relate to people. A small change to employee engagement or productivity can have a massive effect on a companies bottom line. Technology can turn good projects into a great projects, and has a lasting positive impact upon employee experiences, building performance and sustainability. Choosing healthy building products has always been part of our ethos at Tall Architects. With over 2500 products to choose from, Google’s Portico app makes choosing sustainable products more transparent for all parties.